18 carat gold (kt) white gold: 8.00 grams (gr). 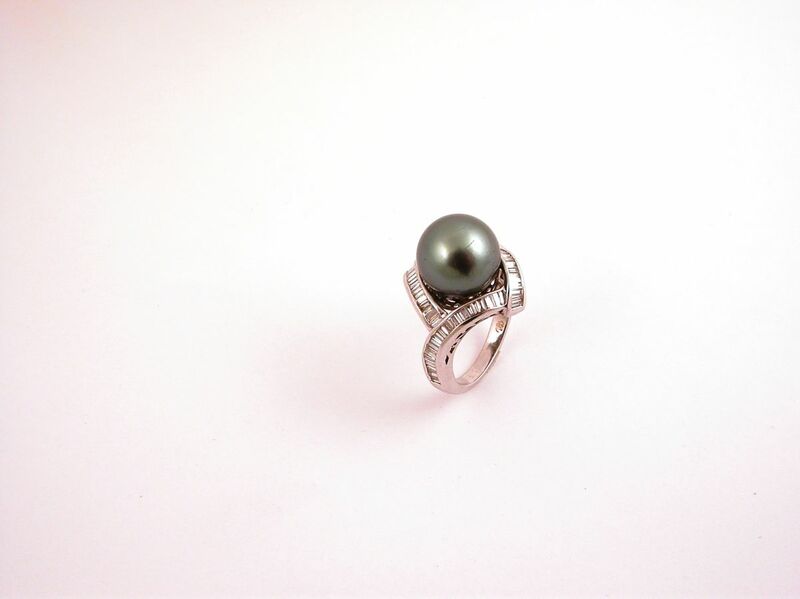 1 Tahitian pearl, of carat (ct) 11.00, diameter 12.00 mm. 80 diamond, carrè cut 0.96 carat (ct) (H colour, Vs1 clarity). Size: 7 inches (Usa) | 14 mm (Italy). Codex: ELES.ss.